In today’s expanding threat landscape, all your customers’ connected home devices are a target; whether it’s PCs, tablets, smartphones, IoT devices… even the actual modem/router that provides connectivity. Some devices come with their own proprietary security. Others, particularly cheaper brands, are far more difficult to secure, even for the tech-savvy. 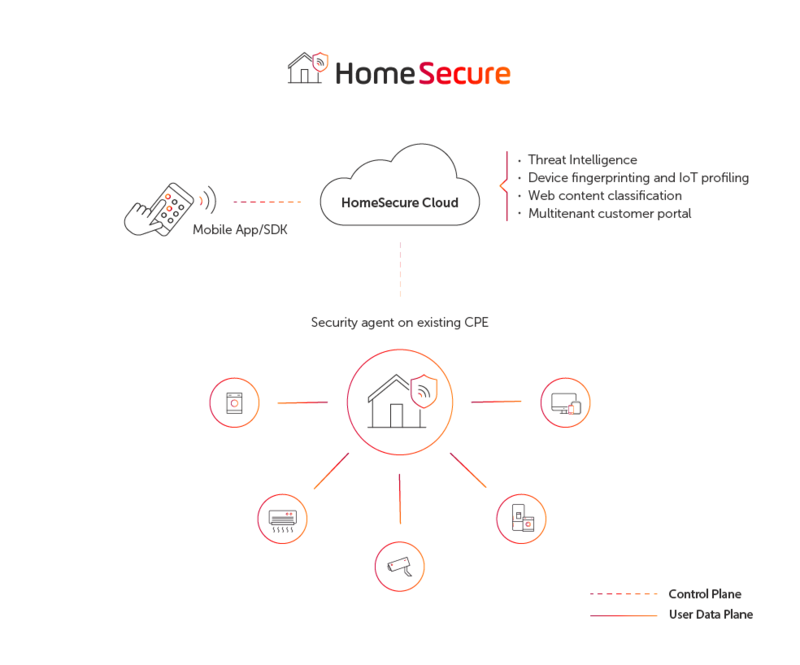 With Allot HomeSecure, you can offer your subscribers a single, out-of-the-box security service that removes the complexity of securing devices in the home and increases your connectivity revenue by 10-15%. By remotely integrating an Allot HomeSecure thin client with your CPE, you’ll be able to centrally manage all the security for their connected devices. And your users will also receive an app that keeps them engaged with their connected home security. Protect devices against external threats —Allot HomeSecure applies machine learning techniques to identify and profile all devices within the home. It then applies a default security policy per device to protect them against external threats. Secure the local network – By segregating the home network, Allot Home Secure blocks lateral malware propagation to protect home devices from attacks within the local home network. For example, it ensures that a compromised device connected to the home network cannot attack other devices in the same home network. Harden the CPE – Allot HomeSecure protects your consumers’ CPE from security vulnerabilities that can compromise the CPE itself. For example, password strength enforcement, open port analysis and protection, unauthorized access controls.